“The worthless infamous Macdonell of Capt. Grant’s company, an old man upwards of fifty & the worst looking without exception, in the Regt. has married two women; has deeply diseased both so much so that, that one is in danger of her life; The whole officers join me in requesting that in addition to any other punishment, you will allow us to have him drummed, with infamy out of the Regt.” In 1778 after the American War of Independence, four Scottish Fencible Regiments were raised, the name “Fencible” being an abbreviation of the word “Defensible”. The distinctive conditions of service of these regiments were that the men were voluntarily enlisted – a Bounty of £3.3s being given to each. They were to serve in any part of Scotland but not out of it, except in the case of an invasion of England, and in no event were they to serve outside Great Britain. Undoubtedly, active service abroad was dangerous and difficult, but it was also clear in its purpose. 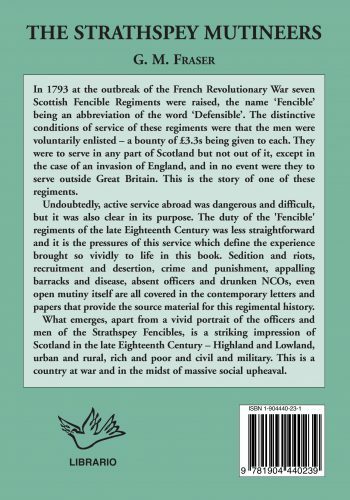 The duty of the “Fencible” regiments of the late Eighteenth Century was less straightforward and it is the pressures of this service which define the experience brought so vividly to life in this book. Sedition and riots, recruitment and desertion, crime and punishment, appalling barracks and disease, absent officers an drunken NCOs, even open mutiny itself are all in the contemporary letters and papers that provide the source of material for this regimental history. 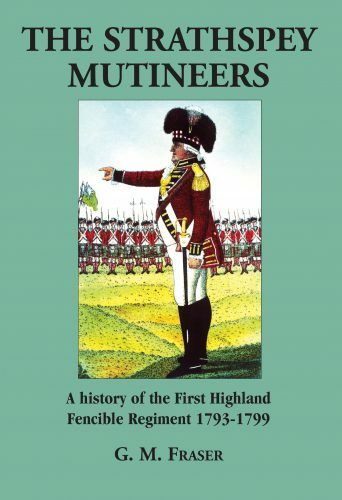 What emerges, apart from a vivid portrait of the officers and men of the Strathpsey Fencibles, is a striking impression of Scotland in the late Eighteenth Century – Highland and Lowland, urban and rural, rich and poor and civil and military. This is a country at war and in the midst of massive social upheaval.